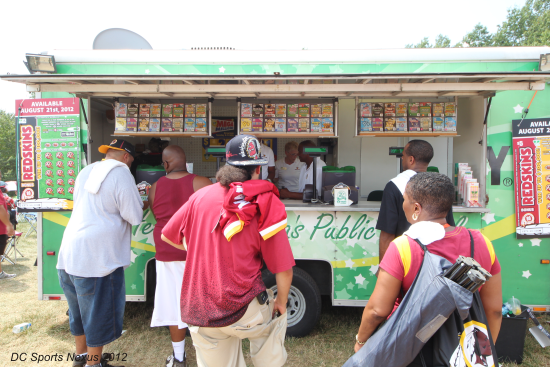 One of the big hits at Redskins Fan Appreciation Day was the Virginia Lottery Truck parked in the main walkway area. With three different registers and 16 or so different scratch off games, as well as regular lottery pick games, the truck was packed all day long. The Virginia Lottery is offering a new Redskins themed scratch off ticket that comes out later this month and the truck was at Redskins Park to promote it. Currently there is already a $5 scratch game called Hail To The Redskins, and the new version looks to be the same type thing. 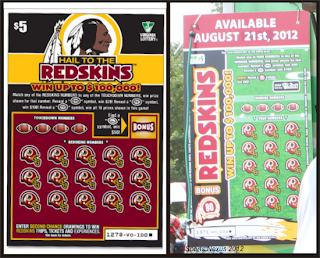 Back in 2009-2010, Dan Snyder tried his hand at lottery scratch off tickets as a means of income, however it failed. This Article does a good job outlining the flop. "The endeavor was plagued by overpricing and unfulfilled promises. Only about a third of the tickets even got sold; many bigger prizes, including two of three much-advertised $1 million giveaways, were never awarded." 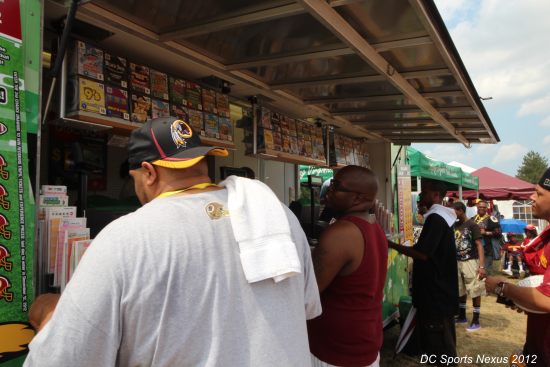 By the looks of the truck, Dan Snyder will be making some major cash with his lottery tickets from here on out. I'll be getting my scratch off on August 21st, and then I won't be writing here anymore!